Ever wonder what the secret recipe is to becoming a good leader? It takes a cup of perseverance, a spoonful of guts, and a surprising dash of insecurity and emotion. Seems like an unconventional recipe right? However, this recipe lead Lavi’s Inspirational Woman of the Week, Dr. Julie Ducharme, up the winding path to success. 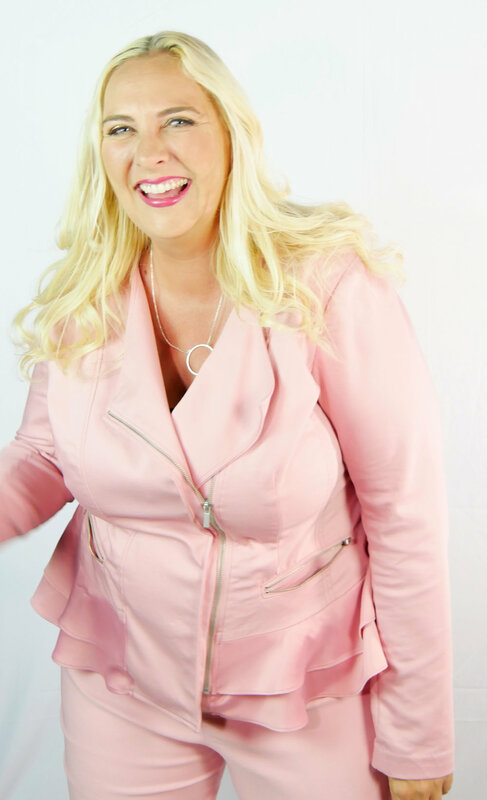 Dr. Julie Ducharme is a sought-after keynote speaker, author, business consultant, entrepreneur, instructor, and a special consultant in women's empowerment. Dr. Ducharme is the creator, founder, and CEO of Julie’s Party People, JD Consulting, and Synergy Learning Institute a technical vocational college. Dr. Ducharme has been a consultant, instructor and serial business entrepreneur for the last 17 years. Dr. Ducharme has hit the prestigious Inc Magazine’s top 60 leadership books list with her book Leading By My Ponytail, Why Can’t I wear Pink and Be The President. Dr. Ducharme’s accolades continue with a strong educational background consisting of a Doctorate of Business Administration, to top national awards, and best papers for IBAM. Recently Dr. Ducharme took her best selling book and developed two e-courses caled Slippers to Stilettos and Combat Boots to Heels. In her spare time, Dr. Ducharme enjoys combining her plethora of expertise, Dr. Ducharme helps college students shape their programs, and help businesses and individuals grow their companies from the ground up. Despite all of her success, Dr. Ducharme has had her fair share of setbacks. Being a young ambitious woman, Dr. Ducharme heard time and time again that she did not belong and was not good enough based on the fact that she was young and a woman. Instead of ignoring the naysayers, Dr. Ducharme answered the negativity with perseverance. Dr. Ducharme used her belief in herself to persevere and her guts to go after what she dreamed of despite what anybody thought. Although with many people against her, Dr. Ducharme had a strong village behind her rooting her on. According to Dr. Ducharme, having a strong support system is extremely important but is often the one key tool that many women stray away from. With fear of looking weak, many women tend to not reach out for help when help is needed. However, in order to succeed, Dr. Ducharme encourages women to reach out to their village as the support needed to break through the barriers that are stacked against them. Despite society stacking barriers against women, Dr. Ducharme acknowledges that women have superpowers that their counterparts do not have The characteristic that society tends to categorize as negative is actually the one characteristic that Dr. Ducharme encourages other women leaders to embrace, which is emotion. According to Dr. Ducharme, being emotionally intelligent is the cause of what makes women so passionate and motivated to keep going, which eventually leads to the coveted success that everyone (not just women) yearn for. To all those women leaders out there, Dr. Ducharme challenges you to go out there and embrace your insecurities, embrace your emotions and grow from the experiences that life throws your way. In turn your uniqueness will make you the great woman leader that society needs. Dr. Ducharme encourages you to break out the heels, bust out the pink outfits and go change the world! As the Public Relations Coordinator at Lavi PR, with a passion for storytelling, Valerie enjoys the art of creating content. When she is not writing, you can find her exploring America’s Finest City with her four dogs. or soaking up magic at Disneyland.